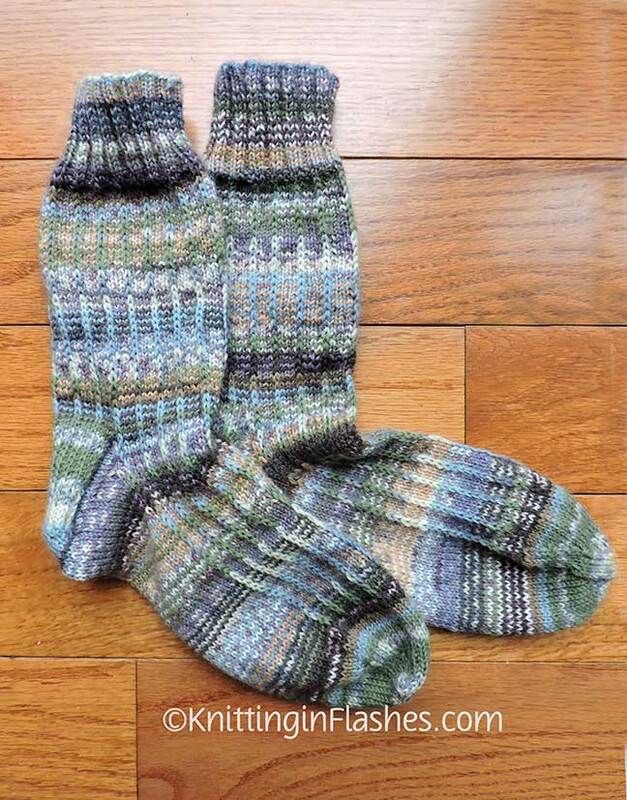 The Slipped-Stitch Spiral Knitted socks are finally finished. 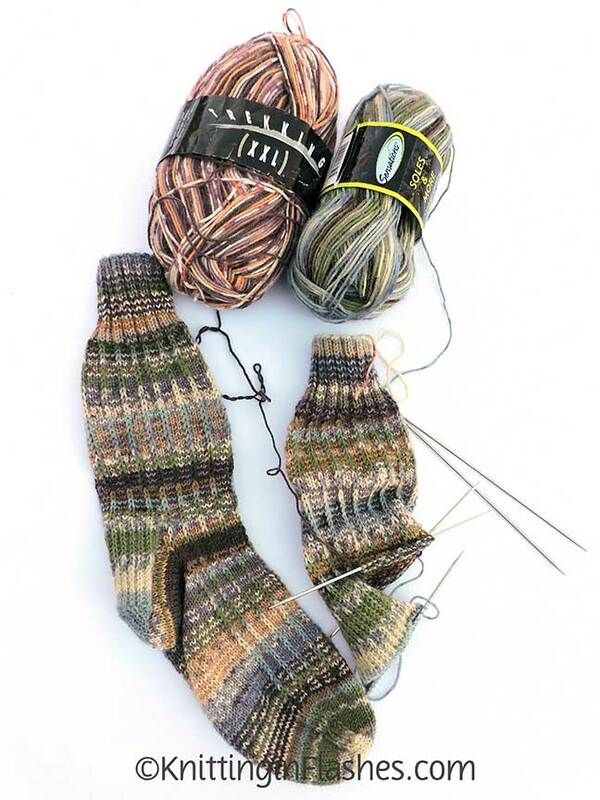 Two unexciting balls of self-striping patterned sock yarn used produced a unique blend of colors and patterns. 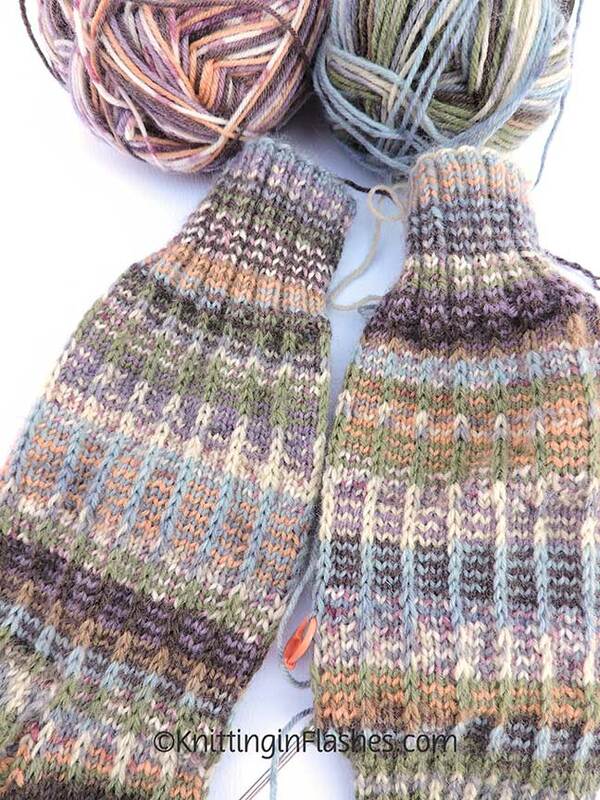 I didn’t try to match up the patterns on the second sock so they are both similar yet different. I used up some stash yarn which was the purpose but I still have lots more to knit up. 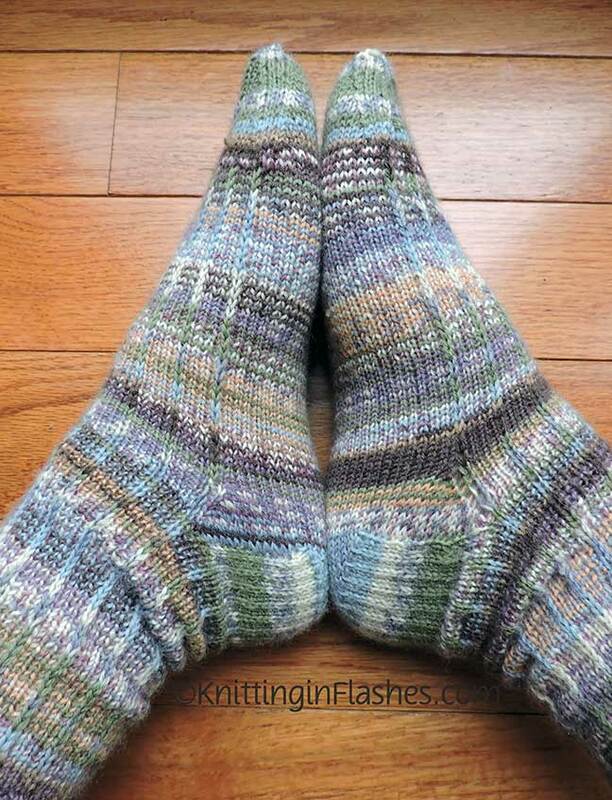 When I knit another pair using this wonderful sock pattern, I will make the leg another inch or so longer. Just my personal preference. 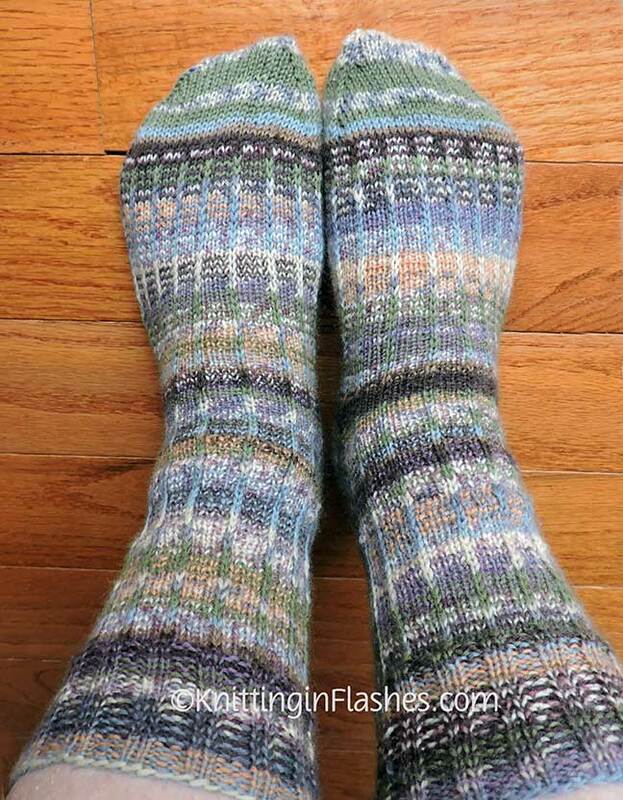 This entry was posted in finished object, knit, knitting, knitting pattern, sock and tagged finished object, knit, knitting, pattern, socks by Patti_is_knittinginflashes. Bookmark the permalink. Your socks are fantastic! I love the way they came out. Thank you. Not as vibrant as the pattern but still wearable. Wow! THose socks turned out so nice!